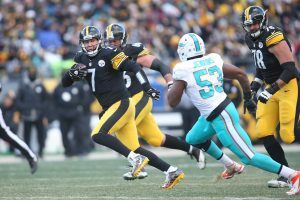 During last weekend’s NFL Wild Card round, the Steelers made a statement by handing the Dolphins a lopsided 30-12 beatdown in Pittsburgh. The win over Miami marks eight straight for the Steelers (12-5) as they head into their Divisional Round match up with the Kansas City Chiefs (12-4). The Chiefs and Steelers met once earlier this season on a rainy night in Heinz Field, where the Chiefs found themselves down 36-0 heading into the 4th quarter. Pittsburgh’s defense smothered Kansas City, eventually surrendering two meaningless touchdowns to settle the final score at 43-14. 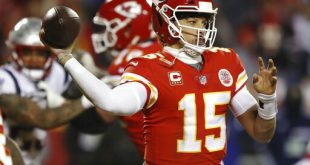 Steelers quarterback Ben Roethlisberger threw five touchdowns against the Chiefs, and Pittsburgh’s momentum was bolstered early on by Kansas City’s turnovers and mental errors. This time around, the Steelers will visit Arrowhead Stadium and look to build on their momentum in the wake of a potential AFC Championship Game berth. According to Pittsburgh sideline reporter Craig Wolfley, this will be a challenging game for the Steelers. Feed Le’Veon Bell. Bell rushed for 144 yards on 18 carries against the Chiefs in Week 4. Contain Tyreek Hill and Travis Kelce. The receiving duo combined for 10 receptions and two touchdowns against Pittsburgh. Protect Big Ben. Roethlisberger (foot) is reportedly banged-up for this game, but don’t expect a conservative playing style from one of the league’s toughest quarterbacks. 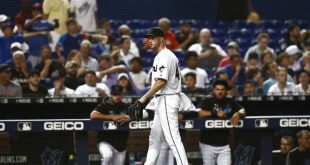 Remove KC’s crowd from the game. Under head coach Andy Reid, the Chiefs are 23-9 at Arrowhead Stadium — including 18 of the last 23. Win the turnover battle. Pittsburgh’s defense managed two takeaways in the first meeting, while their offense remained turnover-free en route to 43 points. According to NFL Network’s Mike Mayock, Pittsburgh’s offense is well-balanced because of playmakers like Bell and Antonio Brown. On average, the Steelers put up 6.7 less points when they’re on the road. What’s even more concerning is that out of 13 interceptions, Roethlisberger has thrown eight of them in away games. 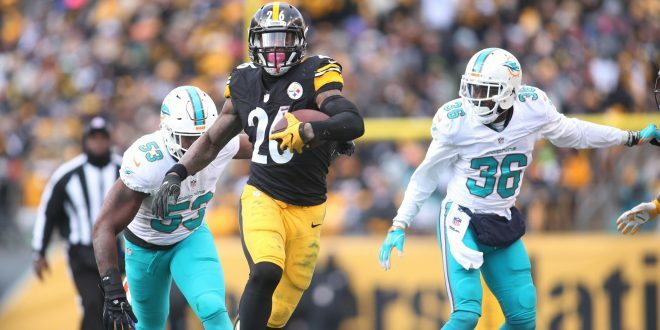 In order for Kansas City to have a chance in this game, the Chiefs will need to contain Le’Veon Bell and turn Pittsburgh into a one-dimensional force that relies on Roethlisberger’s arm. Although, if Big Ben puts together a performance similar to his Week 4 outing, the Chiefs are in for a long day at Arrowhead.